Believe it or not they are fishing – though it doesn’t immediately look like that. 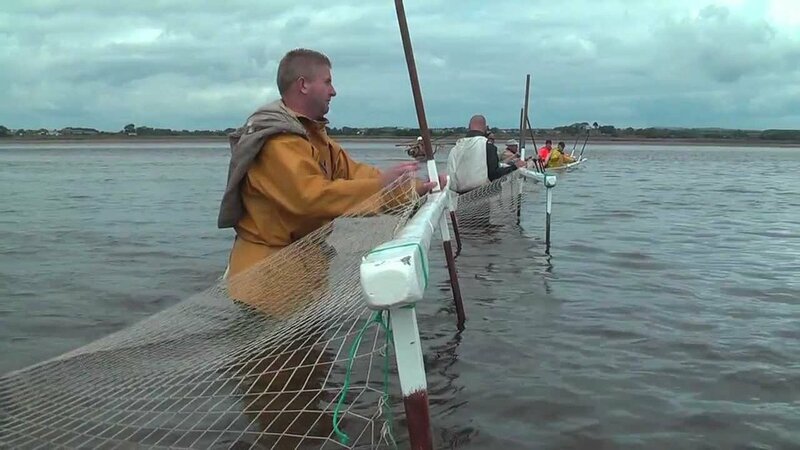 They are Haaf netting (derived from the Norse word for channel (or sea)) and is a traditional method of fishing for salmon and sea trout and now only practised around the Solway in South West Scotland and North West England. I wonder why! It’s said that catching fish like this was introduced by Viking invaders thousands of years ago. The net consists of a rectangular wooden frame which supports the net and divides it into two pockets or ‘pokes’. The middle leg, of the three, is extended to allow the fisherman to carry the beam and also tip the beam up to trap the fish. 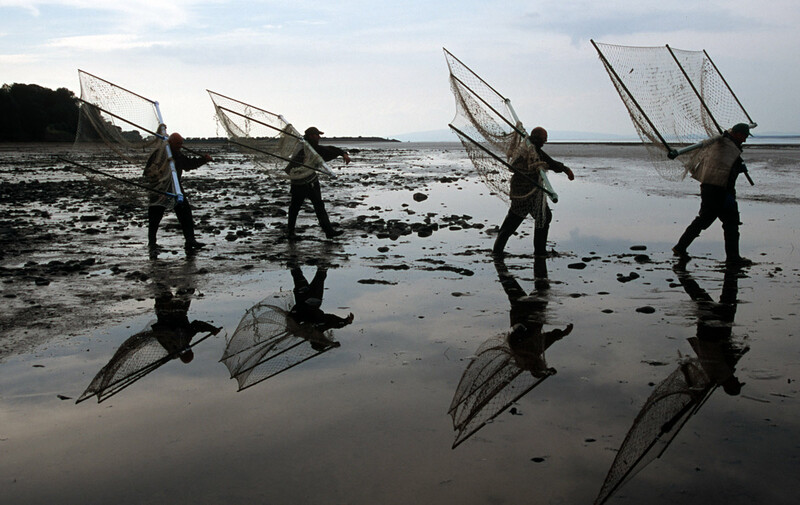 Fishermen walk out into the flat, shallow waters of the estuary and place the Haaf Net in front facing either the incoming (flood) or outgoing (ebb) tides. As soon as a fish swims into the net the legs of the frame are allowed to float to the surface trapping the fish in one of the pockets. This is an extremely difficult and dangerous way to fish and skill and local knowledge have necessarily been passed down through the generations. Sadly, these days fewer fishermen still practice haaf net fishing but you can still see them out in the river opposite the Flat. Solway Salmon and Sea Trout are absolutely delicious so do look out for them on the menu in local restaurants around the region.